KayKiSpeaks.com: #MissThis?! 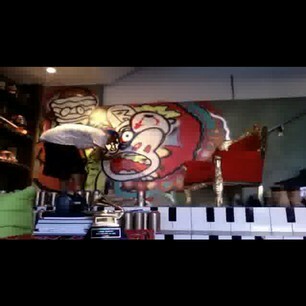 @ChrisBrown Ustreams While Painting - Chris Whats Up with all the "R"s?? #MissThis?! 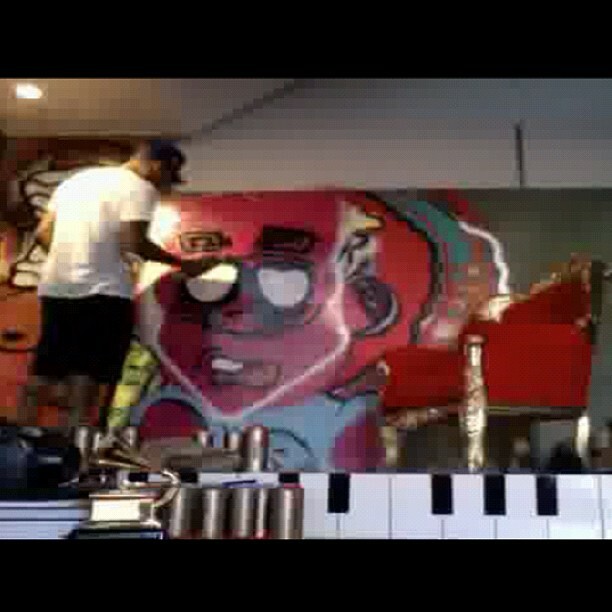 @ChrisBrown Ustreams While Painting - Chris Whats Up with all the "R"s?? Last night Chris gave his fans a treat by ustreaming (recording himself live). A few years ago Chris did it all of the time, sharing music and moments with them. As of late he's been a bit shy of letting people into his personal life in that way. Last night just as the social media world was raving about how poor his sales of Fortune are appearing to be- he turned on his computer and interacted with his fans! Though there wasnt MUCH actual interactions, fans got to see him actually tag a wall in his house. This man is so talented. The way he painted & painted over that same space was really something to watch. There are few interesting parts in the video. His "crew" makes an appearance (including Karrueche who he shares a head bunt with by accident). Painting is very therapeutic and expressive. Chris obviously uses it for both and we aren't mad at it!! He's so talented! Check out the full ustream below if you missed it, and lastly GET THIS MAN'S ALBUM FORTUNE IN STORES NOW! I PROMISE IT IS A GREAT ALBUM...have I ever led you wrong with music?! ?